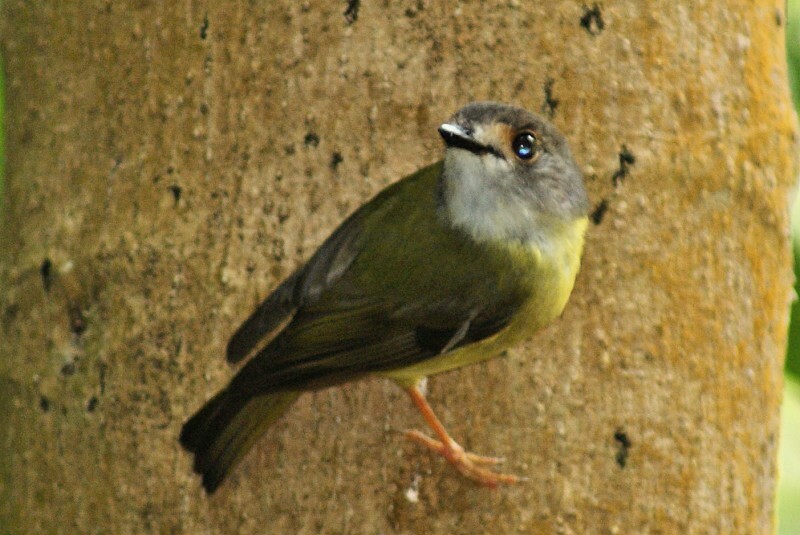 The Pale-yellow Robin is a small bird (12-13 cm) that is found in two populations: one in northern Queensland (race nana) and another straddling the Queensland/NSW border (race capito). The northern race is more common and differs by being slightly smaller and with buff eye rings, rather than white. As with other robins, they mostly hunt for insects, but will eat some seeds. They often occur in small groups with a dominant male, a few breeding females and some non-breeding males, all of whom help with feeding the chicks. 1: Cassowary House, Kuranda, Qld, 15/10/2011.